Anyway, I wanted to know what happened to my great great great uncle John. Part of my reason for following up John’s family was that my grandfather had a cousin, Jim Brosnahan, who was at high school at the same time. Later, as Fr Jim S.M., he married my grandfather and grandmother – it was the first wedding ceremony he conducted. But, I couldn’t figure out how he fitted into the family – was he related by blood or marriage? From information my father had, it appeared John had married a Hanorah O’Driscoll. I found a likely entry in the online NZ Births, Deaths & Marriages and so ordered a printout of the marriage registration. 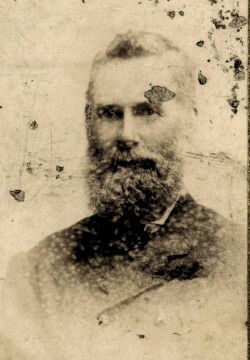 John Brosnahan, 23, Labourer, and Hannah Driscole [sic], 21, Servant, were married in the Catholic church in Christchurch on March 31st, 1865.3 No parents’ information was given – customary for marriages registered in New Zealand before 1880 (very frustrating!). 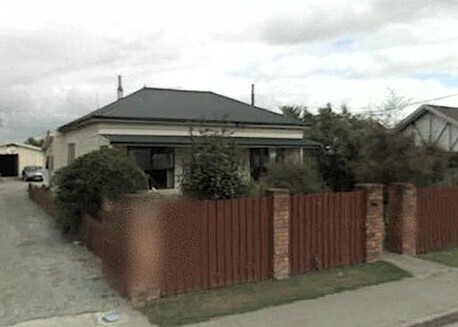 The witnesses were Matthew Driscole, Labourer, Christchurch, and Mary Brosnahan, Servant, Christchurch. Searching the BDM indexes for possible children of John and Hanorah proved fruitless – none seem to be listed, even after checking variant spellings. How could I find them? South Canterbury GenWeb, “The Echunga Arrives”, transcription (http://www.rootsweb.ancestry.com/~nzlscant/echunga.htm), from Lyttelton Times, December 24, 1862. Michael Brosnahan,”Family Tree”, (http://www.thebrosies.org/our-family-tree.php : accessed 2011). New Zealand, marriage certificate for John Brosnahan and Hannah Driscole [O’Driscoll],31 Mar 1865, Catholic Church, Christchurch, 1865/7579, NZ Births, Deaths & Marriages. Also attending St Bede’s at the time was his cousin Jim Brosnahan, and his first cousin George Gaffaney. I love to imagine a bit of family rivalry going on between the three of them, especially when it came to sporting endeavours. The annual sports of St. Bede’s College, held at the sports grounds, produced the usual keen competition and healthy rivalry, and although there were no outstanding performances the meeting was thoroughly enjoyable. 220yds. Grand Handicap, Open (record, 22 2/5 sec., T.H.Lee, 1924) – First heat: J. Phelan (9yds.) 1, D Gaffaney (scr) 2, Time, 25 sec. Second heat: G. Gaffaney (1yd.) 1, G. Josephs (9yds.) 2, Time, 26 sec. Final: Phelan 1, G. Joseph 2, G. Gaffaney 3. Time, 25 sec. 440yds. Grand Handicap (record 58 4/5 sec. T.H.Lee, 1924) – A. Devonport (10yds.) 1, W. Doyle (20yds.) 2, D. Gaffaney (scr.) 3, Devonport ran splendidly to win very easily. Time 56 4/5 sec. Mile Senior Championship (record, L. Carmody, 5 min. 1 sec., 1927) – J. Brosnahan 1, D. Gaffaney 2, F. McHugh 3. Time, 5 min. 10 sec. 880yds. Senior Championship (record, 2 min. 13 4/5 sec., J. Payne 1923) – J. Brosnahan 1, D. Gaffaney 2, J. McHugh 3. Time, 2 min, 26 4/5 sec. 440yds. Senior Championship – D. Gaffaney 1, J. Brosnahan 2, G. Gaffaney 3. Time, 59 1/5 sec. Long Jump, Senior Championship (record, 18ft. 6 ½ in., J. Hendren, 1927) – G. Gaffaney 1, J. Brosnahan 2, D. Gaffaney 3. Distance, 16ft. 2 ½ in. 220yds. 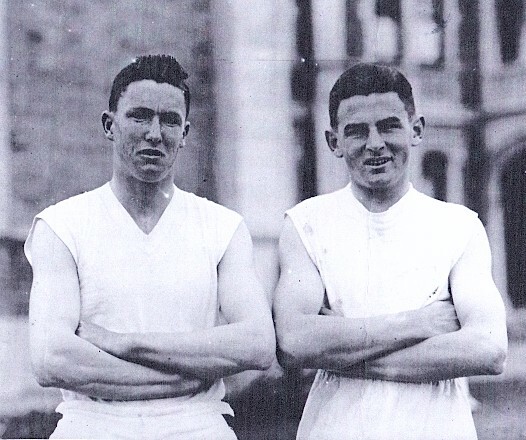 Senior Championship (record, 22 3/5 sec., T. H. Lee, 1924) – D. Gaffaney 1, G. Gaffaney 2, F. Foster 3. Time, 25 1/5 sec. Absent: W. Quirk (Vice-Capt. ), J. Egden, W. Grennell, V. Coughlan, V. Cahill, P. Loughnan. Wikipedia, “St Bede’s College, Christchurch”, article; http://en.wikipedia.org/wiki/St_Bede%27s_College,_Christchurch : accessed 07 July 2011. 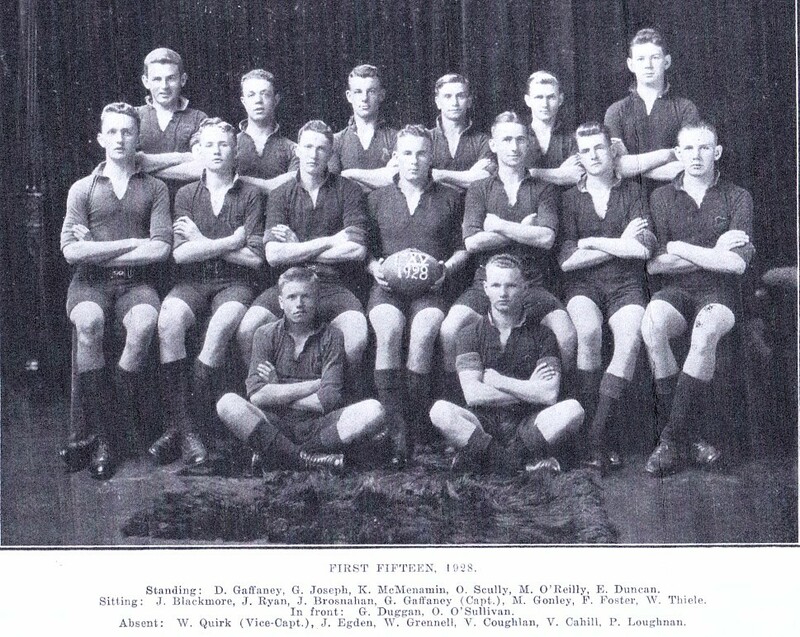 The Bedean, St Bede’s College (Christchurch: 1928), p 56. When I finally received a copy of John Brosnahan’s Will1 in the post, I was very excited, hoping that it would reveal information about his family. It gave the names of three sons, five daughters (and their married names), his wife, father, a sister, and a grandson. Eureka! I, John Brosnahan of Temuka in the Provincial District of Canterbury in New Zealand, Farmer, hereby revoke all former wills and codicils made by me and declare this to be my last Will. 1. I appoint my sons Thomas William Brosnahan of Levels Plains in the said Provincial District, Farmer, and Matthew Brosnahan of Seadown in the said Provincial District, Farmer, to be executors and Trustees of this my will. 2. I declare that in the interpretation of this my will the expression “my Trustees” shall (where the content permits) mean and include the trustee or trustees for the time being hereof whether original or substituted. a) To my Trustees the sum of One hundred pounds (£100) of which I direct my Trustees to spend the sum of Fifty pounds (£50) in having masses offered up for my soul in the Parish of Temuka each week until the said sum of fifty pounds (£50) shall have been so expended and as to the other sum of fifty pounds (£50) forming the balance of the said sum of One hundred pounds (£100) I direct my trustees to hold the same In trust till the death of my wife and then to expend the same in having masses offered up for her soul in the Parish of Temuka each week until the said sum of fifty pounds shall have been so expended. b) To my daughter Bridget Thomson the sum of Two hundred pounds (£200) to be paid within six calendar months from the death of the survivor of myself and my wife and I declare the the said legacy shall be charged exclusively upon and raisable and payable out my farm at Seadown herein after devised to my son Matthew Brosnahan charged with the payment of the said legacy. c) To my daughter Nellie Moore the sum of Two hundred pounds (£200) to be paid within six calendar months from the death of the survivor of myself and my wife and I declare the the said legacy shall be charged exclusively upon and raisable and payable out my far at Levels Plains herein after devised to my son Thomas William Brosnahan charged with the payment of the said legacy. d) To my daughter Mary Hoare the sum of Two hundred pounds (£200) to be paid within six calendar months from the death of the survivor of myself and my wife and I declare the the said legacy shall be charged exclusively upon and raisable and payable out my far at Levels Plains herein after devised to my son Thomas William Brosnahan charged with the payment of the said legacy. f) To my daughter Margaret Adams the sum of Sixty pounds (£60) to be paid within six calendar months from the death of the survivor of myself and my wife and I declare the the said legacy shall be charged exclusively upon and raisable and payable out my farm at Seadown herein after devised to my son Matthew Brosnahan charged with the payment of the said legacy. 4. I devise and bequeath my messuage and premises situated at Wilkin Street, Temuka, whereon I now reside and my furniture and effects of household use or ornament therein or thereto belonging to my wife Honora Brosnahan during her life and after her death to my daughter Catherine O’Connell absolutely and I direct that my wife shall during her lifetime at her own expense keep the said messuage and premises and effects in good repair and condition and insured against fire to the full insurable value thereof in some office of repute and to the satisfaction of my Trustees in all respects. i. As to my farm at Seadown for my son Matthew Brosnahan absolutely subject to and charged with the payment of the legacy of two hundred pounds to Bridget Thomson mentioned in clause (b) of paragraph 3 hereof and of the legacy of sixty pounds to Margaret Adams mentioned in clause (f) of paragraph 3 hereof. ii. As to my farm at Levels Plains for my son Thomas William Brosnahan absolutely subject to and charged with the payment of the legacy of two hundred pounds to Nellie Moore mentioned in clause (c) of paragraph 3 hereof and of the legacy of Two hundred pounds to Mary Hoare mentioned in clause (d) of paragraph 3 hereof. iii. As to the three shares which I hold in the Canterbury Farmers’ Co-operative Association Limited for my son Matthew Brosnahan absolutely. iv. As to the lands and hereditaments held by the Trustees of the will of my late father James Brosnahan In trust for Ann Brosnahan daughter of said James Brosnahan during her life and after her death In trust for my son John Joseph Brosnahan grandson of the said James Brosnahan his heirs and assigns forever In trust for my grandson Thomas John Brosnahan, son of my son Thomas William Brosnahan absolutely. v. As to the residue (if any) of my residuary estate for my daughters Nellie Moore, Mary Hoare, Bridget Thomson and Catherine O’Connell or the survivor or survivors of them if more than one as tenants in common in equal shares. In witness whereof I have hereunto set my hand to this will this Ninth day of July One thousand nine hundred and eighteen. Signed by the Testator John Brosnahan as and for his last Will and Testament in the presence of us both being present at the same time who at his request in his presence and in the presence of each other have hereunto subscribed our names as witnesses. why was daughter Margaret Adams only bequeathed £60, whereas her sisters received £200 (apart from Catherine, who was left the house in Wilkin St) and a share of the residuary estate? 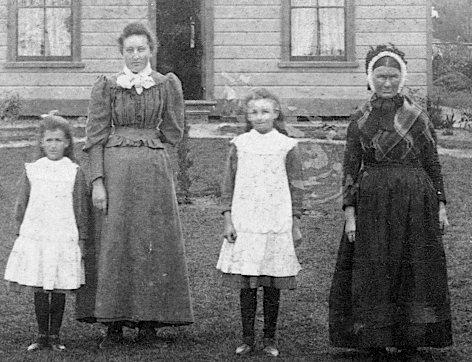 are there any children missing from the will? did John’s father James leave “land and hereditaments” to John Joseph because he was the oldest grandson? what else was in James Brosnahan’s will? A codicil to the Will was added on August 8th, 1922. 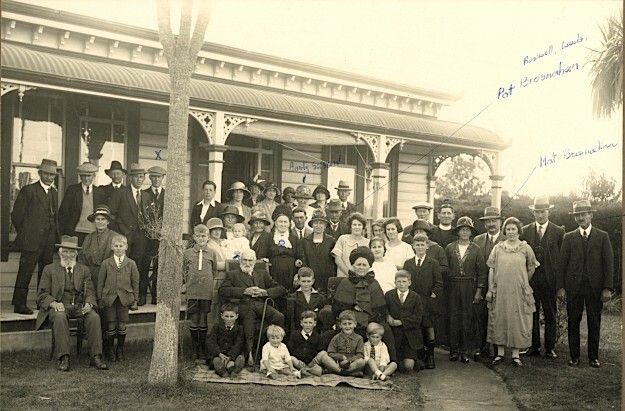 I, John Brosnahan of Temuka in the Provincial District of Canterbury, Farmer hereby declare this to be a first codicil to my last will and testament which said will bears date the 9th day of July 1918. Whereas by my said will I gave devised and bequeathed all my residuary estate unto my Trustees therein named upon trust to pay the income thereof to my wife during her life and subject thereto after giving and devising certain farms and shares to certain of my children I directed that the residue of any of my residuary estate should be held upon trust for my daughters Nellie Moore, Mary Hoare, Bridget Thomson and Catherine O’Connell or the survivor or survivors of them if more than one as tenants in common in equal shares. Now I hereby revoke the trust of the residue (if any) of my residuary estate in favour of my said daughters and direct that the Trustees shall hold the said residue (if any) of my residuary estate upon trust for my wife Honora Brosnahan absolutely. In all other respects I confirm my said Will. In witness whereof I have hereunto set my hand this Eighth day of August One thousand nine hundred and twenty-two. 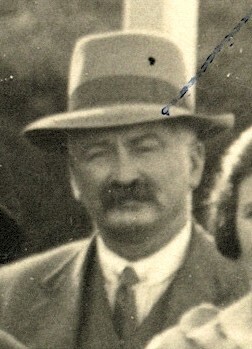 John Brosnahan Will, 1918-22; Probate file, 04 Oct 1926, Supreme Court, Timaru; photocopy, from original Ref [CH145, TU2645/1926] held at Archives New Zealand, Christchurch. 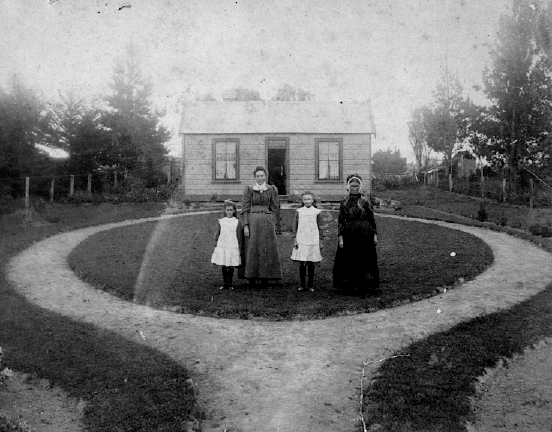 As it’s St Valentine’s Day, we’re off to 1896 Temuka, South Canterbury, for a wedding – the nuptials of Mr Patrick Dennis Hoare and Miss Mary Brosnahan. I love the description of the party afterwards – gives a wonderful sense of the convivial atmosphere. Could the brother “P. Brosnahan” be Patrick? On John and Hanorah’s gravestone is an inscription for a Leo Brosnahan, “son of Patrick and Nora”. 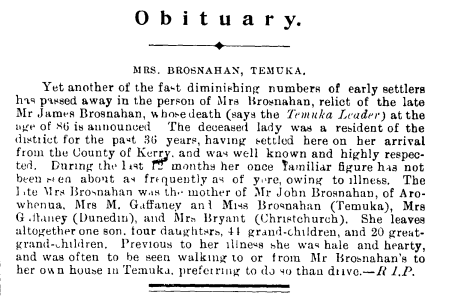 There is a death in the index for an Esther Brosnahan in 191010, which would tie in with Thomas William remarrying. I couldn’t find a likely marriage for Matthew. At the very bottom of the gravestone is an inscription to Annie Kleim. She proved to be a bit of a mystery for a while – I could find no record of an Ann(ie) Brosnahan marrying a Kleim. So, could this Annie be another child of John and Hanorah’s? So far, I have come up with ten probable children for John – nearly, but not quite, the twelve as mentioned in his Cyclopedia entry! Martin, Gary. “Trip the light fantastic”, The Phrase Finder (http://www.phrases.org.uk/meanings/trip-the-light-fantastic.html : accessed 14 Feb 2012). NZ Department of Internal Affairs, “Marriage Search”, database entry for marriage of Frank Louis Adams and Margaret Elizabeth Brosnahan, 1898/5006, NZ Births, Deaths & Marriages. NZ Department of Internal Affairs, “Marriage Search”, database entry for marriage of James Moore and Ellen Brosnahan, 1905/2373, NZ Births, Deaths & Marriages. NZ Department of Internal Affairs, “Marriage Search”, database entry for marriage of Richard Connell and Kitty Brosnahan, 1908/3495, NZ Births, Deaths & Marriages. NZ Department of Internal Affairs, “Marriage Search”, database entry for marriage of James Thomson and Bridget Brosnahan, 1911/3995, NZ Births, Deaths & Marriages. NZ Department of Internal Affairs, “Marriage Search”, database entry for marriage of Patrick Brosnahan and Hanoria Toohey, 1898/1849, NZ Births, Deaths & Marriages. NZ Department of Internal Affairs, “Marriage Search”, database entry for marriage of Thomas William Brosnahan and Esther Byrne, 1907/5988, NZ Births, Deaths & Marriages. 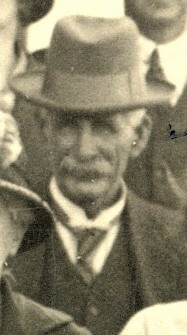 The caption on the frame containing this photo says the occasion for the gathering was John Brosnahan and Hanorah O’Driscoll’s Golden Wedding anniversary. 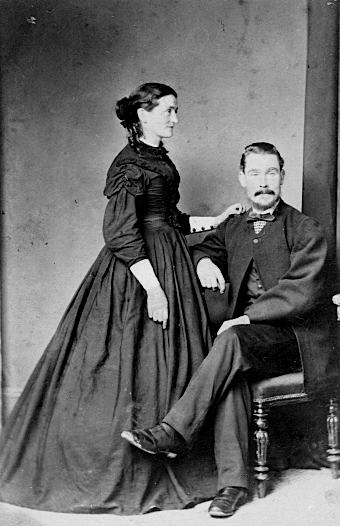 John and Hanorah were married on March 31st, 1865 in Christchurch, NZ.1 This would date the photograph to 1915. But the clothes don’t seem to match the period – just looking at the women’s hats, for instance, and checking my (new!) book by dress historian Jayne Shrimpton, they appear to be from the mid 1920s. So, my guess is the occasion is their 60th (or Diamond) wedding anniversary, which would have been in 1925. What do you readers think?? Taking a closer look at the photo, John is seated with his walking stick across him, and wife Hanorah is the woman seated on the right. 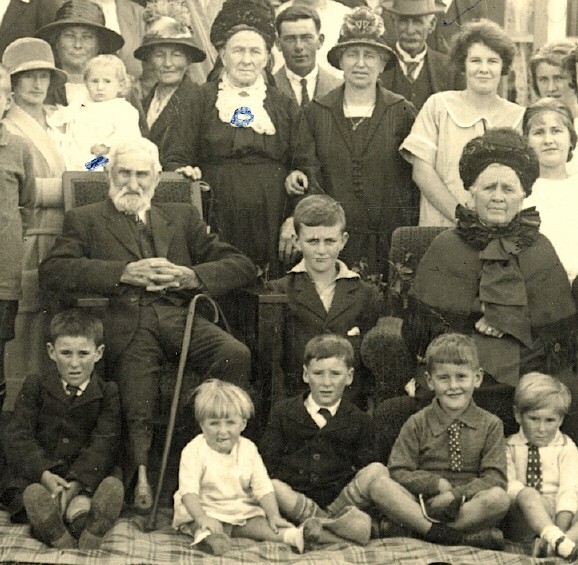 Behind John, with her hand on his chair, is his sister (my great great grandmother) Margaret. On Margaret’s right is their sister Annie (“the Queen”). The photograph was taken outside the Brosnahans’ house in Wilkin Street, which still stands today, though many of the external character features seem to have been removed. Timaru District Council, “TDC Cemetery Database”, database, Timaru District Council (http://www.timaru.govt.nz/cemetery-database2.html : accessed Jan 2012), entry for Patrick Brosnahan, Rosewill (ref 15932, block 6, row 224, plot 360, Temuka, buried 19 Jun 1954). Timaru District Council, “TDC Cemetery Database”, database, Timaru District Council (http://www.timaru.govt.nz/cemetery-database2.html : accessed Jan 2012), entry for Matthew Brosnahan, Wilkin St, Temuka (ref 14224, block 4, row 233, plot 212, Temuka, buried 08 Oct 1946). Timaru District Council, “TDC Cemetery Database”, database, Timaru District Council (http://www.timaru.govt.nz/cemetery-database2.html : accessed Jan 2012), entry for Thomas William Brosnahan, Arowhenua, Temuka (ref 15920, block 8, row 215, plot 527, Temuka, buried 06 Apr 1954).